For Valentines Day, I received this gorgeous Nails Inc polish in the colour Electric Avenue. 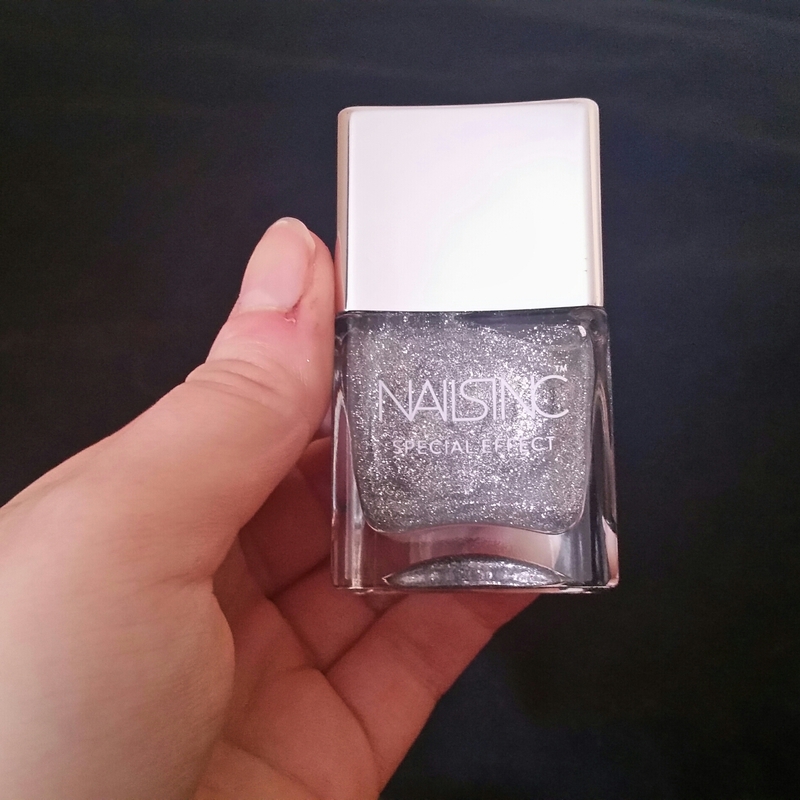 It’s a futuristic metallic glitter that really packs a punch and is a seriously stunning silver shade. Unlike most glitter nail polishes, this one is packed full of colour and sparkle, giving good full coverage. I applied two layers for a stronger, bolder finish, but this polish looks good after just one coat. Below is a photo of my nails. My only real gripe with the polish is its lack of lasting power. 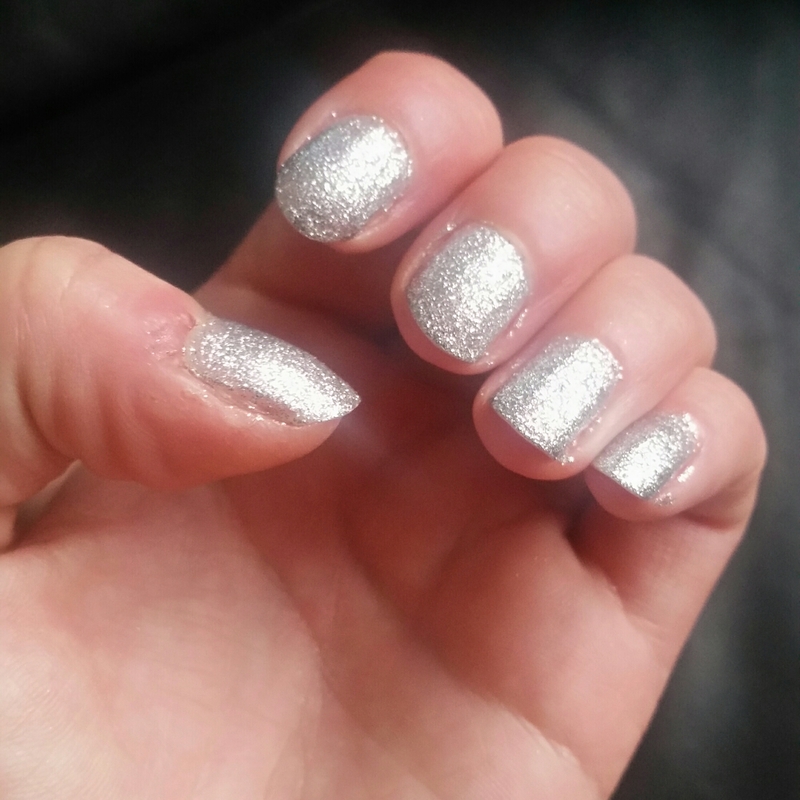 Most of my nails had disappointingly chipped after a day, but thankfully this nail polish is so quick drying, it’s not too much hassle to touch up my nails. What’s also great about this polish, is that if you just paint over the chipped part of your nail, it blends in perfectly with the rest, rather than looking patchy or uneven. Let me know if you’ve tried any of Nails Inc polishes. I have a bunch of Nails Inc polishes and they’re fantastic! This one is SO bling, wow. 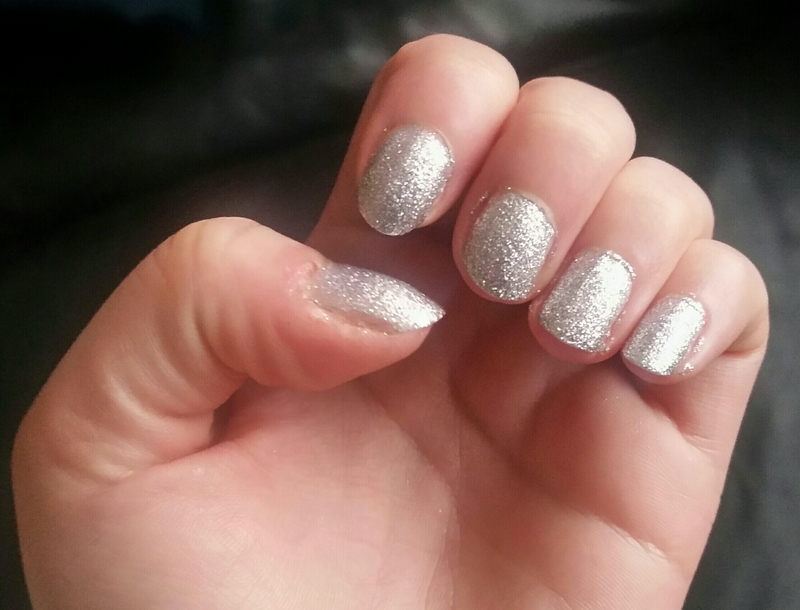 I’m surprised it didn’t last well on you – I’ve found the Nails Incs I’ve used have all lasted really well. What base / top coats do you use? I like Orly Bonder as base, and Posh top coat. I mainly my manicures for 7 days with NO chips using them! I know it’s different for everyone but this is the combination that’s worked for me.